While I can’t tell you if coffee consumption is right for you—remember, it’s up to you to know your unique context, needs, and goals—I can show you how to make the coffee you drink better for you. Meet “bulletproof”. n the past couple years, this concept of packing coffee with healthy fats has taken off and spawned its own variations. It’s kind of like calling all photocopiers “Xerox” machines, right? Not all coffee put together in this way can technically be called Bulletproof® but the spirit of the original is there. 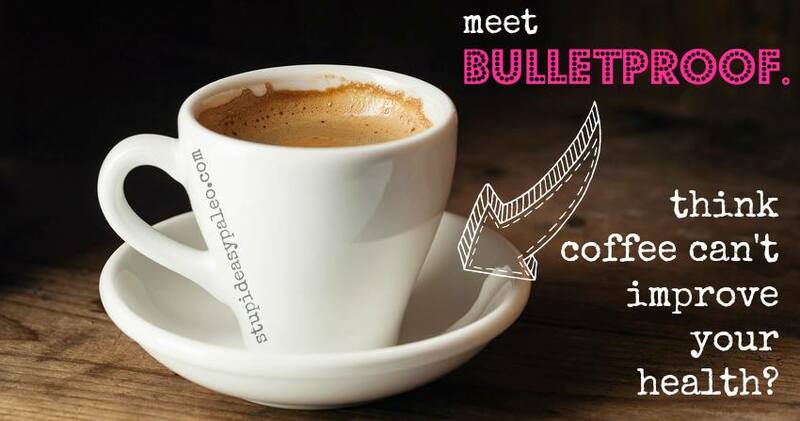 What’s the Bulletproof Coffee® recipe? Basically brewed coffee + grass-fed butter + MCT oil. More on these in a minute. 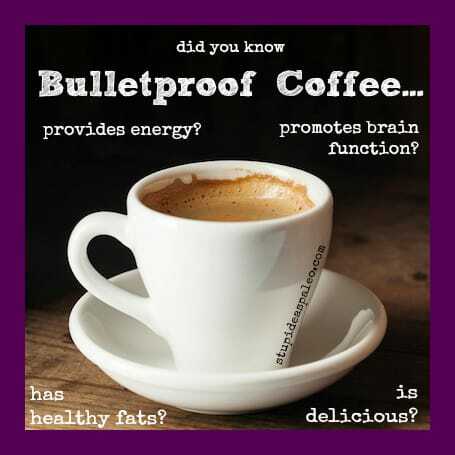 How can this Bulletproof® coffee formula really improve your health? It’s all about the fats. If you’re new to Paleo, be advised this is not a low fat diet. We rely on fats – particularly of the saturated variety—for slow-burning, stable forms of energy. They also compose a large percentage of our cell membranes and are important in the absorption of fat-souble vitamins. In short, saturated fat (in the context of a relatively low carb approach like Paleo) is a good thing. This may be surprising since shelf-stable saturated fats (particularly of animal origin like butter, lard and tallow) have been vilified for years thanks to the weak correlation concluded between fat consumption, cholesterol levels and mortality rates from heart disease from a study by Ancel Keys (Seven Countries Study). While Keys’s intentions and motivations are still debated, what’s clear is that the Seven Countries Study became the study used to justify steering the boat toward polyunsaturated fatty acid (PUFA) consumption and away from saturated fats. PUFAs (most plant oils and some of animal origin like fish oil) are highly unstable and prone to oxidative breakdown due to their chemical structures. Read: PUFAs are not a better choice for dietary fat sources. Saturated fatty acids (SFA) are much more stable and better for high-temperature cooking. Grass-fed butter. Rich in conjugated linoleic acid (CLA), a fatty acid produced by ruminants like cows, it’s been implicated in many studies as having beneficial effects. Grain-fed cows do not produce as much CLA in their milk as their grass-fed counterparts. Grass-fed butter also contains an Omega-6 to Omega-3 ratio that’s basically 1:1 (that’s very GOOD). If you’ve ever seen pale (almost white) butter, the poor stick of saturated fat is lacking in beta carotene. Where to get bright yellow butter? You guessed it, cows fed on grass. In addition to all this, grass-fed butter contains more fat-soluble vitamins like K2 (which is converted from K1 by cows). Verdict: Butter from grass-fed cows is better than butter from grain-fed cows. But…isn’t Paleo supposed to be dairy-free? It’s generally not part of a Paleo template because some dairy can be quite problematic for people – not because Cordain wanted to make you cry by taking away your delicious cheese. For some, it’s a sensitivity to the proteins like casein. For others, it’s a problem with digesting the lactose carbohydrate fraction. Butter has very little protein and is mostly fat (read: butterfat doesn’t cause the same reactions that the protein or carb component can). If you’re sensitive to dairy protein, you could try using grass-fed ghee (how to make your own or find a commercially available brand) which is essentially clarified butter stripped of its proteins. 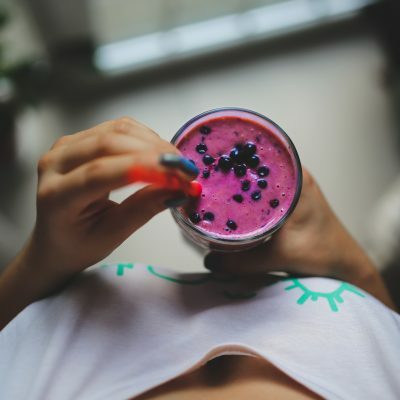 The only way to know for sure if you’re sensitive to these foods is to remove them for at least 30 days and then reintroduce them methodically. MCT oil. MCT stands for medium-chain triglycerides and is a purified form of these types of fatty acids (capric and caprylic, naturally found in plant fats like coconut oil and palm kernel oil). 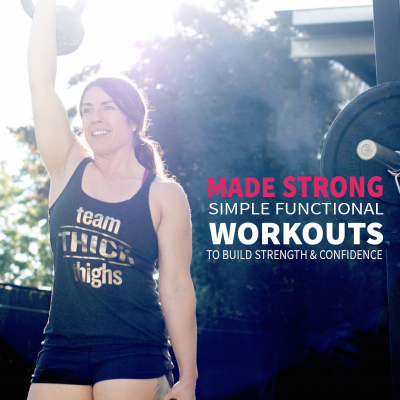 MCTs have several benefits, including being an easily metabolized form of energy. MCT oil is purified from coconut and palm kernel oils and generally sold as a supplement instead of a food on store shelves. It can be quite expensive, so many folks have taken to using coconut oil instead of pure MCT to make their version of Bulletproof®-style coffee. Verdict: MCT oil provides a higher concentration of these fatty acids, though coconut oil is a good, budget-friendly alternative. And lastly, the beans. The mycotoxin issue makes sense to me – and apparently higher quality coffee isn’t necessarily devoid of these mold poisons – but I’m not sure it’s personally worth the cost of the upgraded beans for my wallet. You can certainly decide what fits your budget best though I recommend buying Fair Trade beans whenever possible. Verdict: Get the Upgraded beans if you’re really concerned and want to spend some extra money. Blend for 30 seconds until frothy and creamy. Iced Bulletproof®-Style Coffee: prepare the coffee as below, then chill and pour over ice. Trying to do it the other way around (by making cold coffee then blending in the fats) won’t work because the fats won’t emulsify. Great post! I’ve been drinking bulletproof coffee for a couple months now. It took a week or two to get used to (I had been using coconut milk), but now I love it! Usually I just stir mine in, but I’m going to try using the blender and some variations – thank for the post! So you cant buy bulletproof coffee? You have to make it at home? Hi Stacey…you can buy the special Bulletproof beans but the original recipe is the brewed coffee, grassfed butter and MCT oil. It’s a bit confusing! Thank you Steph! Are you willing to recommend a place to purchase Bulletproof beans or a brand? I love, love the stuff! I only use about a tsp of each fat and a small tsp of sugar, but if I don’t have an appetite and I’ll be hitting the Gym, I’ll add 2 eggs to it. Fills u up good! I have a friend who does it with 2 Tbsp each butter & coconut oil…yesterday I ratcheted up to try it with 1.5 Tbsp and it made me sick to my stomach…do you think it was just too much fat, especially the coconut oil? Or did I do anything else that I might want to try differently? I want to try it to live off those healthy fats in the morning, but I don’t want to have a rumbly tumbly again! Hi Sarah…was it in the morning? Yes, it was very first thing…does it help if you have something else in your stomach first? Well, there’s definitely a lot of fat in bulletproof (which is good) but it can still give some people a hard time so drinking it on an empty stomach may bother you. I used to do a lot more butter and oil, but I now only do 1 TBS of butter and 1-2 teaspoons of the oil…mostly to keep costs down (the Upgraded products are pricey, but I think they’re worth it), and I still feel the benefits. I didn’t notice a difference in the way I feel while using a little less of the fats. HTH! I am definitely going to try it again with less…that sounds like a good plan! I’m glad I will still get the benefits! Thank you! Try taking a Betaine-HCL supplement before your fats – it helps you digest fats! Hi Sarah- The first time I put coconut oil in my coffee I felt sick to my stomach as well. I remember reading that it might happen at first if your body is not used to the fat intake. I did it several more times and stopped feeling sick. I would recommend just using a little less coconut oil/butter at first and then gradually building up. Rest assured, though, it’s normal. As a long time user of the BulletProof Coffee, I can tell you that the MCT oil alone can wreck havoc in your digestive system if you are not used to it (i.e., have a restroom nearby, or else…). Try to work your way up to 2 tbsp of MCT starting with only 0.5 tbsp and see how your body reacts. You can also substitute the MCT with regular coconut oil for a start. The most important factor in preparing it, to me, is consistency. As such, I use a hand blender to make sure that I have a nice emulsion (frothy drink). It makes the 100% fat content of my bulletproof coffee cup that much more digestible. I’ve been drinking coconut oil (1TBS per cup) in my coffee for a couple of years now – it’s AWESOME! Will have to try adding butter too. I use an immersion blender and a 2 cup Pyrex measuring cup (in which to blend). Works perfectly every time. Oh, make sure you have the immersion blender on the lowest/slowest speed and have it all the way to the bottom of the container you’re blending in, or else you’ll have coffee everywhere! Much quieter than using my Vitamix at 4:45 am! Great tips Ashley!! You and I sound pretty similar because that sounds like something I’d do!! Yes! 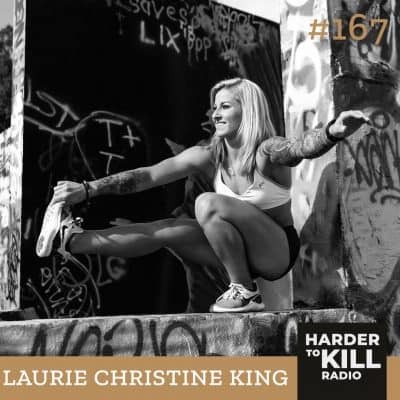 Thank you Laurie…I forgot to add that in and was meaning to. I’ll go back and edit that now. I had wondered about Bulletproof coffee for some time now,so when I seen this post, I knew I had to try it…I’m so glad I did! I added some cinammon to the recipe and voila, who needs sugar and creamer anyway! Thanks for sharing!!!! I’m glad I could help out, Angelica! Yum! I like it with cinnamon, too. Thanks for breaking it down to Crayons and Construction Paper for us!! Great descriptions. Love me some BP coffee. I use Regular Coffee and Coconut Oil along with my Kerrygold Butter. Hi Bob! I haven’t ever tried that but it sounds pretty amazing (though admittedly a bit odd…haha)! Thanks so much! I needed this. I have been drinking it for a few weeks now just trying to tweak it just right. I love my creamer and sweetener so this is big adjustment. People keep asking me why I drink it and I have the hardest time explaining as I’m a Paleo newbie. I’ll just point them here a great explaination! Definitely point them my way 🙂 I’ve never really made my coffee sweetened though I can imagine it would be hard to convert. Maybe use lower and lower amounts of raw honey to titrate off? I tried using “good” coffee for quite a while, then started using the Upgraded coffee AND MCT oil just to “see” if there was a difference. I was VERY skeptical, but after approximately 4 weeks, I realized that I was doing Crossfit, coming home, cooking dinner, doing laundry, preparing food for the following day, and I had to FORCE myself to go to bed at 10pm…I wasn’t on a caffeine high, I just had that much energy to do stuff. My OLD routine was to sometimes do Crossfit, then plop on the couch for the rest of the evening and hope my GF would make us a salad. I now buy the 5lb bag, keep it in the freezer, and grind it a little at a time to keep the cost down. Hi Tara! That’s quite the testimonial 🙂 I’ve wondered about the MCT oil and have heard from a few folks that it’s pretty stellar. I may have to give it a try! I was kind of surprised at how well the “Upgraded Coffee” worked versus regular coffee as I’m also a skeptic at heart. The MCT oil is a boon in itself but the two together w/ butter were unstoppable. I do think that you could probably find a single origin, wet processed coffee that isn’t the Upgraded brand; I haven’t tried the Upgraded brand MCT oil as there are two brands readily stocked at Whole Foods and some other natural & vitamin stores: one is specifically coconut-based and 94% MCT; the other is NOW Foods which I believe is palm & coconut – 100% MCT. I made my own version of Bulletproof for months and just a couple of weeks ago splurged on the Upgraded beans and MCT oil from the Bulletproof Executive. I am amazed at the difference in my energy levels – anyone who drinks Bulletproof owes it to themselves to at least try it. I’m on vacation (out of the country) these past few days and missing it DEARLY! Thanks for letting me know Paula! When I get back home I may give it a whirl. I’m in Paris and am totally lost without my fatty delicious BP COFFEE ! I had been making bulletproof coffee with my beloved grass-fed butter (salted) and coconut oil. Just today, I picked up some MCT oil from the local market and mixed it up with organic ghee. What a difference! I made it through a long class, my CrossFit workout, a walk with the dog, and now some homework. I was happy to see your post! I wasn’t sure if ghee would work, but now I see that it was a good alternative to the salted butter. Another vote for MCT oil! You have all made me very curious! Love that you covered this topic. I’ve been drinking coffee this way for almost three months now to help me balance my new school + full-time workload and I love it! I previously could not handle coffee because it made me too jittery but the MCT oil + grassfed butter really help to even out the buzz. Very good to know about the filter!! Thank you! I am trying to get pregnant so I am preparing to make switches to pregnancy friendly beverages- would a decaf version of this be safe with the MCT oil/ghee and decaf coffee beans? Hi Erin…great question. Even decaf still has some caffeine in it, though it’s a small amount. What about something like an herbal tea version, like Rooibos? I’ve researched caffeine during pregnancy, and every source I’ve found says there is no evidence moderate caffeine intake has any risk during pregnancy. Now, some women do find their system is more sensitive to coffee during pregnancy, and they choose to stop drinking coffee. I’ve tapered off drinking coffee during pregnancy, and continued having a cup every morning, and while all my kids are different, I can’t say there’s any noticeable effect coffee vs. no coffee! If you do switch to decaf, make sure you are only using naturally (water process) decaffeinated coffee, some decaf brands are processed with strong chemicals which not only mess up the flavor of the coffee, I don’t see how they can be good for your body either! YESSSSSS! High five all around, Michelle! I tried this today at the suggestion of my cousin. I was skeptical, mostly because I really love my coffee. I had my regular coffee first then made the BP for the road trip to work. I probably screwed it up by adding some heavy cream (I brew really strong coffee) but I liked the deep, rich flavor added by the butter. I plan to try it for a few days and see if I can tell a difference in my energy level. It’s been better since removing gluten from my diet, but my days are long and I’m often dragging before I finish everything. Thank you for the recipes and great explanations. Heavy cream is tasty 😉 Let me know what you think after a couple days, Donna! Well, it’s been more than a couple days, but I would like to report back on my BP Coffee experience. Day 1 and 2 were stressful as I experienced some pretty severe gall bladder discomfort but I knew it was related to the additional fat so I powered through. That was it..2 days, not a problem since. I am doing it on the cheap, with coconut oil and regular coffee beans, but I might try the MCT oil eventually. I met with my physician last week to go over annual blood work results and my cholesterol levels were phenomenal. She looked a little shocked when I said that the only dietary change I’d made was adding 2 tablespoons of fat to my daily cup of coffee! I’ve never had high cholesterol, but there’s always been a fairly bad ratio of LDL to HDL, and that is now in the optimal range. I feel great. I do not get an afternoon crash, find myself busy doing things around the house until late, sleep well, and still have energy to work out during the day. Any day that I can’t have my coffee I can tell a difference in my energy level and ability to focus. Hi there! I’ve been drinking bp for about 5 months now and fell in love instantly! I am sensitive to caffeine so have to use decaf, but I do use fair trade and coconut oil just because it’s friendlier on my budget. I love, love, love your variations and can’t wait to try them!! Thanks for making me feel I made the right decision to go bp! I’m glad you liked them, Dana! It’s also nice to see that you’re making the changes that work for you. I tried the Upgraded brand coffee and there was a noticeable positive difference from my usual WF medium roast but the price point was a bit too much to stomach ($19/lb?!). I’m still searching for a good single origin wet-processed coffee that comes in under $10/lb but not holding my breath. Hoping someone can weigh in with some suggestions for your coffee search! I love adding coconut oil to my coffee. Not only do you get the added benefits but I actually prefer the taste. I can’t do the butter (I don’t do well with Lactose) but coconut oil and MCT oil. Delish. Yum! Coconut oil is so awesome, isn’t it? Thanks so much for explaining this! I have one question, and haven’t been able to find a good answer anywhere. I am sensitive to coconut – everything. Including the oil and milk – makes me itch. Do you have a good suggestion as to an alternative oil? Right now I just use olive oil but I’m not sure if that is a good alternative. Palm oil would be the most similar plant oil to coconut (though it’s controversial because of harvesting practices). It’s got the most saturated fat of any plant oil second to coconut. Olive oil seems to be a good choice because of its high MUFA content so if you’re happy with that, I wouldn’t see any reason to change it. Macadamia nut oil is also quite high in MUFA so that might be an alternative but I know it tends to be more expensive. Was about to reply with the same recommendation as Steph so editing this comment to be less redundant! You can find sustainably harvested red palm oil from Nutiva (they use small farm sources (<25 acres, I believe) and harvest from regions where there are no orangutan habitats. Ideally any alternative oil should be high in medium-chain triglycerides so you can obtain the desired effects of BP coffee. Have you tried the MCT oil itself? NOW Foods is the brand I use but I'm unsure if it's derived from coconut or palm kernel (two of the common sources for MCT). I get it from my local grocery chain (Natural Grocers) but I've seen it on Vitacost for comparable price (and you have to pay for shipping) — but it is still half the price of the BP "Upgraded" brand ($15 vs $30 for 32oz). It's a zero-taste/scent oil that can be used for non-heated food applications as well (e.g. salad dressing). I think it’d highly depend on the olive oil…I like the peppery taste of some oils but I know that it can be overpowering. I’m going to give the MCT a try when I get back home (it’s easier to find). Hi Michelle…did you try blending it up in the blender? Makes a huge world of difference to me. Ghee does tend to leave a film. I’ve heard good things about Branch Basics as a degreaser: http://www.branchbasics.com/shop/branch-basics-concentrate-1. Baking soda will cut grease better than dish soap. Put baking soda and hot water in the cup and let it soak – you can mix it, shake it or scrub it, too. Then pour it out and wash with hot water & dish soap or baking soda. Rinse well. This works great for oil in jars and cooked on meat/grease in pans, etc. I have friends who only use baking soda to wash dishes and laundry. You can also put water & baking soda in a dirty pan and put it on the stove and simmer for instant cleaning. Is there a reason that the butter is better for you than heavy cream? I have access to organic/grass fed non-homogenized cream (local organic market) and really love the taste in my coffee. I mix half decaf so I can have more than one cup and if I have a third cup, I go all decaf and I switch to a half almond milk/coconut milk mixture so I’m not consuming so much cream. Also, is MCT oil better for you than the coconut oil? I’m not sure of the difference as far as health – thanks! Hi Casey…in a nutshell, the butter is a more concentrated form of milkfat than the cream. Honestly, if you like the cream better and it sounds super duper high quality, I say go with what puts a smile on your face. The MCT oil is far more concentrated than coconut oil (basically MCT oil has the other components of the coconut oil, like the saturated fatty acids) removed. Started a couple weeks ago and am completely sold on it. After having both kids diagnosed with ADHD/Combined Type a few years ago, I have begun to realize just how easily distracted and unfocused I have been my entire life. Well, guess what…a cup of this stuff and I am focused for a few hours. HIghly focused, and not hungry at all. So much more accomplished at work. Stands to reason the kids’ pediatrician has always pushed lots of good FATS for my kids (who are both super-skinny – goes to show you it’s not fat that makes you fat). And I love the deep creamy taste! I have been using an unsalted, raw butter I get at the local health food store along with the beans and MCT oil. That’s a huge win, Annie!! try mixing it with the “Golden Milk” recipe (turmeric paste) that you add the coconut oil to with sorghum and cinnamon, you could maybe also add the ghee to the paste. Keeps in frig. for a couple of weeks. With a hand little frother, mix your paste with hot milk ( I love goat milk) after, pour in your hot coffee, and the last bit of milk, frothe up and top off the coffee, and you got the best thing EVER!! and so healthy!!! I also love to drizzle heavy cream over it with a splash of cocao dust…. Need all the fat I can get and just love getting the extra turmeric . When not in the mood for coffee, I love the turmeric paste added to hot cocoa!!! I’m really intrigued by the turmeric. Sounds so good! My husband is a Bulletproof advocate; it keeps him going until lunch, quite happily. We were just on vacation in Hawaii, and we took a tour of a coffee farm. The guide told us to just keep our beans in a cool, dark place, NOT in the refrigerator or freezer. In the fridge, the beans will absorb the flavors of the other food. In the freezer, the oil separates from the bean and that affects the flavor negatively. In either place, the beans are the worse for it. So, take that 5 pound bag of expensive beans and just keep them in a cool, dark cupboard. I’m not a coffee lover. I drink tea. Do you think I could still get some befits by substituting tea? Yes!! Some people use tea instead! I think a bulletproof chai sounds delectable! Will this work in the nutribullet? As long as you make it in a small batch it should be fine…just be careful with the hot liquid. My older brother has converted just about everyone in our family to a paleo lifestyle. He has found huge success through Dave Asprey’s Bulletproof plan both in weight loss and overall health. One of my older sisters has also embraced and found that paleo is perfect for her. Butter coffee is a staple of their households and the pressure is on me to try and embrace this change. I have been drinking butter coffee for 6 weeks now and I have never felt more miserable. I am nauseated every day, I have vomiting and diarrhea for hours after drinking it. I used to love coffee, now the smell of butter coffee makes me gag and I can hardly drink a quarter cup of it. I’ve tried adding pumpkin spice to it to make my brain think I’m drinking a pumpkin spice latte, I’ve added cocoa to it, I’ve tried to hot and cold with no success. It makes me mad that my family has found success and can stomach this awful tasting coffee beverage, and I’m sorry it doesn’t taste as good as good old fashioned cream and sugar. Yes this is a bit of rant, but I think people thinking about it should not just hear the rosy “it’s so delicious” tales, there’s always another side and in my case it’s horrible stomach cramps and hurray I’m losing weight because I can’t keep any food down. Further when discussing this with my siblings I’m repeatedly told that it takes time to adjust to the MCT oil and butter, that I just need to give it more time, I need to get used to it. At what point will I be able to tolerate this mess and live a healthier lifestyle (because I do embrace the science behind a paleo lifestyle and have bought in to the claims of higher fat/more vegetables/no grains/if there’s a label you probably shouldn’t be eating it philosophy)? I’m frustrated, do want to be healthier, want to lose weight but I wasn’t sick before and now I am. Hi there…It sounds like there’s too much butter / fat in the coffee. Many people report stomach issues especially if there’s too much fat in it and it’s first thing in the morning. If you want to keep trying it, dial the butter and MCT oil WAY back. If not, I see no reason why you can’t eliminate the bulletproof and just focus on meat / veggies and moderate amounts of healthy fats. Many people have a transition period when they switch to Paleo but it usually lasts 2-4 weeks. If you keep having problems I’d consult a nutritionist or health coach. It’s hard for me to guess what could be wrong just from your description. I get the sense of how frustrated you are, so please don’t get upset if we ask a few questions in the hope that we can help. I agree that it sounds like you might be using way too much of the fat. 1-2 teaspoons of butter, 1-2 teaspoons of MCT oil per 8oz cup of coffee is plenty to see benefits. Also, if you’re not using the actual Upgraded Coffee, you could be doing yourself a disservice. I’m not an affiliate or anything, I just tried many different money saving things before breaking down and buying the real stuff. If you try several different tweaks and you’re still not happy, I suggest trying Kombucha Tea. It’s a probiotic fermented tea….I actually brew my own to keep from spending $3 a bottle in the store. 😉 OH, I almost forgot…I HATE the taste of this coffee without flavor added….I still use coconut sugar and homemade almond milk every morning. Oh thank you both so much for your advice. I will stick with it, reducing the amount of MCT oil and butter (my brother uses a stick in every cup, not that I ever made it to that) sounds like a good started point. And I love tea too so the Kombucha tea sounds like a good idea. Thanks Tara, have you lost weight doing IF? How long have you been doing it? What would you say the most prominent results have been? 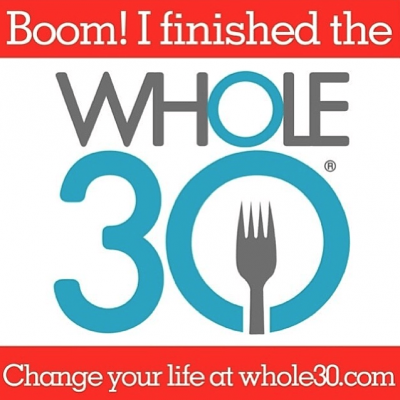 I didn’t really lose any weight until I did a Whole 30. In the month of September, I lost 12 pounds, then since then, I have lost 3 more…and that’s in the midst of Halloween…and Reese’s peanut butter cups. *sigh* So, I guess the answer is no…not just on BP coffee/IF. That’s good progress, Tara! Keep it up…you’ll get there! Sounds like you may be having trouble digesting fats. It is worth looking into because that is not a good thing. One way to tell is if you BMs are greasy. I did bulletproof coffee for a while but was wondering if you have heard of any success with weightloss? Weight loss while drinking bulletproof coffee? 2) are you advocating this as part of intermittent fasting? What is your opinion on intermittent fasting for women? I haven’t had any weird temperature changes that I’m aware of, but I’ve heard that lots of women experience weird temperature drops while doing intermittent fasting that end up causing them to feel weak and tired. Have you heard this? I’d also like to know what your opinion is on using bulletproof coffee and/or intermittent fasting as a method for weight loss. Hi Toni…there aren’t decaf upgraded beans to my knowledge but you may have some luck doing some digging around the Bulletproof Executive website. (www.bulletproofexec.com). With regard to IF…my personal opinion is that it can work for some people but it’s hard to make sure other stressors are low enough that it doesn’t wreak havoc in the long run. I don’t do it (I tried and the results weren’t great). The problem with IF is that people have a hard time getting in a whole day’s worth of calories in the period after fasting which results in a caloric deficit over time, and that’s not a way to promote weight/fat loss. There is decaf Upgraded…and I did intermittent fasting with the coffee as well. I don’t count calories, so I have no idea if it is causing a caloric deficit…I just know that it’s noon by the time I’m done drinking my BP coffee and kombucha…and I feel amazing. Very good point, indeed!! I don’t work out until the afternoon/early evening, and ONLY if I’ve had enough food and WATER. If I haven’t, but I must work out, I’ll eat a banana an hour beforehand and drink a lot of water. This is why I can’t CrossFit in the morning…it’s way too intense for me to be doing before I’ve eaten or properly hydrated. I got used to doing fasted training though on heavy lifting days, I do better with some food in my belly. Glad you’re finding what works for you Tara! I suppose it would work okay, yes. I add 1 tsp knox gelatin powder and 1 tsp coconut oil to my cup of coffee every morning. I use a small batter-operated milk frother to whip it all together. I’m allergic to coconut, are there any substitutions for the coconut oil that would still have the same health benefits? Thanks!! I’d get the purified MCT oil in that case. Either that or just omit. I was having such a hard time with the butter. my husband was doing too much at first (almost a stick with every cup). It was just too extreme for me. I was getting stomach pains also. Then I switched to Ghee. I think it was the lactose giving me the problems because I was breaking out. You have to tweak it to get the right measurements for you. Now we make two -10 oz cups of BP coffee with 2 Tablespoons of MCT oil with 1 tblsp of ghee and blend it in our blendtec. No more stomach problems and I feel great. Hello, I’m new to all this and still learning. I was just wondering….any particular reason, other than taste, that you chose chai tea instead of green tea? I’ve never drank coffee before as I didn’t care for the smell/taste of it and would have added tons of sweetener to make it taste good but with all the talk about how BF coffee makes you feel I’m thinking about trying it. If I don’t care for the coffee, I may try the tea. One more question, what are the effects of drinking the coffee with food vs not eating? Is there much difference? Thanks for your insight! Hi Laura! I chose chai because, as a black tea, it has more of a flavor backbone than green, but if you’re a fan of green you could absolutely make this in that style. A lot of people drink it in the morning, sometimes on an empty stomach, because the combination of caffeine with the fat reduces their appetite. I drink mine with my breakfast. I’ve heard of some folks overdoing it on the butter / oil and ending up with a stomach ache because they didn’t eat anything alongside it. My suggestion would be to try it at breakfast and start on the lower side of the recipe when adding the butter / oil. I LOVE IT THIS WAY and have been doing this for awhile now!! The only PROBLEM I have is…I still love a flavored “cream” in it and haven’t found a decent-flavored substitute!! I KNOW it’s bad bad bad, but if someone has a yummy healthful replacement for my Bailey’s Creamer, I would LOVE to have it and be guilt-free!! Thanks! How about some homemade vanilla extract? Organic Valley makes a good flavored creamer. Buy it at Whole Foods. I used to drink coffee with half&half and sugar. Then I switched to heavy cream and stevia. Now I’m using canned coconut milk (actually I get Aroy-D in a carton at the Asian market – only ingredient is coconut milk). I make strong fairly dark roast drip coffee. I add a bit of cinnamon & a teaspoon of unsweetened organic raw cocoa powder to my cup before pouring the coffee in – and then add the coconut milk. My coffee mixture is delicious and I don’t miss the sweetener. Reading this article & the comments about BP coffee is enticing. I have coffee beans in my freezer (is it Really better to keep them in a cool dark cabinet – which might not be that cool?) so I’m not ready to buy the high-priced beans. I did add a bit of coconut oil and grass-fed butter to my coffee today (in addition to the coconut milk, cinnamon & cocoa powder). It made it taste even More Delicious! I could certainly use some energy so I’ll try it. I do have some “rapid transit” issues after my morning coffee or chai so I’ll gradually increase the oil & butter. HI, I made my bulletproof coffee this morning with the butter, coconut oil, vanilla extract, raw cacao powder and a bit of stevia. OH, and cinnamon. I also did a very tiny dash of cayenne, it’s 90,000 heat units. Blended ‘er up and it was truly delightful!! I am/was pretty addicted to the creamers on the market as well, but this really does the trick for me. I ordered the pure vanilla powder and look forward to adding this and having my vanilla ‘cappuccino’ bulletproof coffee! I’m determined to cut sugar from my diet and this is a life savor. I just ordered the MCT oil. Curious as to how I will feel using a bit of this in the mix. I’d heard the hype. The first time I tried it was camping last year when I had unsalted butter, but no half & half. At worst I would have to throw it out. The taste hooked me. I do it “properly” every once in a while with unsalted Kerrygold and coconut oil. One of the best tips is to use a little $5 battery powered drink frother from Ikea (Thanks Abel James). Keeps from dirtying a blender or buying an expensive kitchen device. I have taken to using the TJs coconut cream trick most of the time. It is better than half & half. The stuff just melts in without mixing when you pour the hot coffee over it. Just make sure what you buy has only coconut milk and solids and no sugar, emulsifiers or gums. The stuff used for umbrella drinks is garbage. Yessss! We have two of the little foamers and they have been super helpful! I also use the Ikea $5 frother. It works wonderful and takes less than a second to clean! I was hesitant at first to try this “bulletproof” coffee, but the abscence of my morning latte since I started paleo left me desperate. I followed your recipe using ghee and coconut oil, and must say…..I am IN LOVE. This creamy deliciousness makes for one heck of a kick start to your day! My only regret is that I was not careful enough when opening the blender and wasted some the goodness onto my counter and clothes! Note to self…….bulletproof splatter WILL stain clothes. 😉 Totally worth it! So if my goal is weight loss… would it be logical to do a bullet proof coffee in the morning, along with a small protein and then solely protien based foods throughout the day (eggs & meat variations) then some carbs at night (salad with meat) and l would loose weight quickly? If you’re trying to push your body into ketosis, you’d consume primarily proteins and fats, and very little carbs. I love BP coffee and have been drinking it every morning for months. I do add one tablespoon of DaVinci sugar free Vanilla syrup as I find this makes it more palatable. I use a stick blender, 3T of coconut oil, and add an egg. It sounds vile, but you can’t taste the egg at all. I its filling and frothy and tastes so good. Hey Steph! Just wondering if this is meant to be a meal replacement for breakfast or to accompany a meal? I don’t advocate liquid meal replacements or only drinking coffee for breakfast (even if it has healthy fats in it). I always drink it with a meal. Steph- I LOVE my bulletproof coffee!!!! I look forward to it every day. I do use coconut oil rather than the MCT oil. Also, every once in a while I sprinkle some cinnamon on the top of it, just to change things up a bit! Miss seeing you, we should get together soon! I’m so glad you love it, Vicki!! We definitely need a Ki’s brunch date soon! ok — so I tried this with coconut butter instead of coconut oil — it was pretty good. can anyone tell me the nutritional differences between coconut butter and coconut oil? 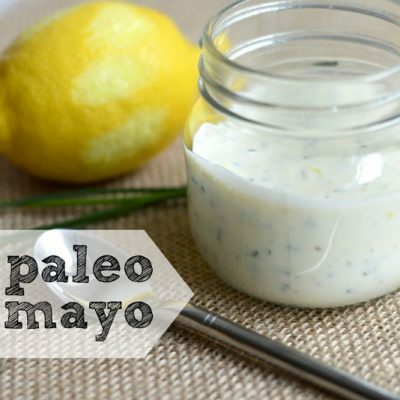 I’m late on this post but I always go to your blog when I’m wondering about a new paleo thing I adapt. I’m wondering if you do this in place of breakfast? Sometimes I can handle it without breakfast and sometimes I feel like I need to eat more due to more working out/ activity. Wondering what your thoughts are with it. Thanks again for all your research and help!! Hi Malorie…I eat this with a normal breakfast because if not, I end up low on calories for the day for two reasons: it’s like skipping a meal and caffeine suppresses appetite. I’m not a big advocate of fasting, especially for athletes. Hope that helps! I’m new-ish to Paleo (about a month or so in). Still feeling my way around and still figuring everything out. It’s been tough sometimes because I was super unhealthy. Anyway, one of the things I really missed was my large flavored iced coffee packed with cream and sugar and after I tried a BULLETPROOF coffee yesterday, I think I’ll be OK. I pour mine over ice and sprinkle some cinnamon on top and it’s like a latte. Super delicious. Definitely makes it a little easier. Yay!! This may be just the thing you need to transition. I’m new to paleo and having difficulty being satiated after meals despite being physically full. Would doing this drink in the am or would doing it at night hp state off the night time munchies attack? Also, I’m allergic to coffee and all things dairy. What can I use instead and in what amounts? It sounds like either you are not eating enough protein or you’re not eating enough fat. Paleo is not a low-fat diet and that’s the most common reason for hunger. While coffee might help, remember that caffeine is an appetite suppressant so it may not be a good choice. If you can’t use butter, you could try ghee which is butter that’s been clarified to remove it’s proteins which is what many people are allergic to. If not, then just coconut oil and maybe something like almond milk for creaminess. I have been drinking bullet proof coffee for a good two months on weekdays and laying off on weekends. I find it helps with fasting, which I like to do once a month for personal reasons. My question is am I over working my body when eating a good breakfast which usually includes two eggs,left over meat, & a banana. & then sipping BPC until lunch? then eating again paleo style for lunch. Just wondering. Love the site. Over-working…I don’t think so. If anything, I think you’re doing it right by eating FIRST then drinking the coffee since caffeine can suppress appetite. I finally tried this after hearing lots of discussion about it and I have to say I love it! It actually helped calm my morning sickness in my first trimester and allow me to stay satisfied and not crave breads. I add a Tbsp of grass fed gelatin and just a touch of coconut palm sugar and it is sooo yummy. I’m looking forward to th variations you posted, too! I am allergic to caffeine. Would you suggest steering away from this.? Yes. You can make it with herbal tea, though. Great article…I do have a question though. If having Bulletproof Coffee in the morning do you use it as a replacement for fats in your breakfast since it is pretty calorie and fat dense? Hi Heather! I would cut back on the fats I eat at breakfast a bit, yes. I ♡ bulletproof coffee! I have it every morning with tablespoons of Kerry golds butter and 2 tablespoon coconut oil with my 2 egg and bacon and a ella’s kitchen baby veggie baby food an hour before my workout! Thanks for this post Steph, I’ve seen the term bulletproof bandied around a bit and didn’t really know what it was so thanks for the explanation. Funnily enough just before reading your post I made myself a coffee that I stirred coconut butter into for the first time ever. It just seemed like a good idea at the time. It was really nice and creamy with a hint of coconutty flavour. I guess not technically bulletproof.? Coconut butter sounds outrageously good! 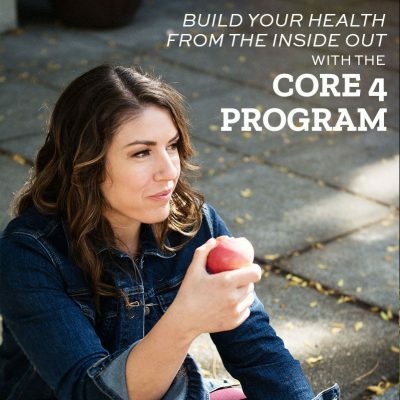 Steph, what are you thoughts on drinking BPC as a pre-workout, not in connection with IF? 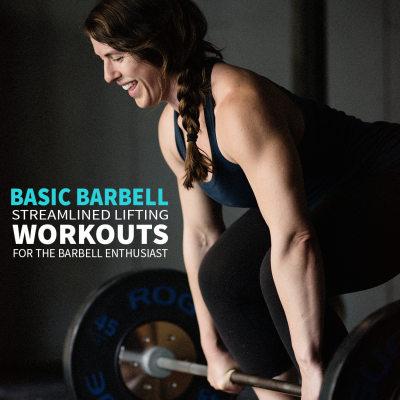 I workout in the afternoon at either 530p or 630p depending on work and have been thinking about using BPC as my pre-workout/afternoon snack to get me through that hump before dinner. Hi, not sure if this question has been asked as I only made it about halfway down the page, but can extra virgin olive oil be subbed for the coconut oil? I really wouldn’t recommend it. EVOO has a strong, peppery flavor. Instead of coconut oil, you can find MCT oil (which is purified / has no smell or taste of coconut) or just leave it out. Ok, thx for letting me know! I loved the coconut oil in coffee (as a favor) and I used vanilla as well. I tried the unsalted butter with it – this morning – and for me – YUCK – tastes like hot oily butter – not coffee nor coconut, adding honey a tad improved the butter to sweet butter taste – I will not be using this anymore. Hi Julie…did you blend it when you put the butter in? My husband has just started with bulletproof and is using all the “official” ingredients, including the MCT oil and ghee. But we can’t get the oil to blend into the coffee. We’ve tried the nutribullet, the vitamix, the stick blender and plain old shaking in a bottle. We even tried heating the oil and ghee and pouring it into the coffee in the running vitamix (ala mayo recipes!). they all end up with the oil sitting on the top and not blended or frothy. Any suggestions please? My guess is that you are adding a lot. How much fat are you adding? It could be. Remember that ghee has had it’s dairy proteins stripped and that’s the part of cream / butter that makes things creamy. We use a blender for one regular French press, 1 tbsp coconut oil and 1 tbsp grass fed butter. It comes out creamy with some froth. My guess is that it’s the ghee vs using butter. So you drink this concoction instead of eating breakfast? That’s my understanding from other articles I’ve read. No. It is not a breakfast replacement for me. I drink it along with my breakfast. I don’t recommend only drinking coffee for breakfast because there is no protein in this at all. Thanks for the response! 🙂 I thought it sounded a bit weird as a replacement for breakfast!! Hi! Thanks for all the recipes and tips! I love coming to your website when I’m trying something new or need inspiration. I could have sworn I saw somewhere that you could buy a bulletproof coffee pod where you just added hot water, but for the life of me I can’t find it now. I remember that it was pretty pricey but was thinking it might be good for on the go/travel. Have you heard of a product like that? I have heard of people adding one or two eggs into their BPC as well have you ever tried this, would you recommend it? Do you have to use this fancy bullet proof coffee or can you use regular coffee such as folders or maxwell house? I finally had the guts to “sort of” try it this morning… I used coffee, pumpkin pie spice, a T. or so (eyeballed it) of coconut oil, and a splash of homemade almond milk. I didn’t use the ghee because I was chicken (but now that I know how yummy it is I totally will). My question, though, is do I need to omit the almond milk to make it truly bulletproof? Is it the addition of fat, omission of other stuff or both that is bulletproof? PS Waaaaay yummier than I ever could have imagined. Hi Jaime…there aren’t really any rules for butter coffee. Since Bulletproof is a brand they have an exact method but I say, make it how it tastes good to you! First of all, LOVE your stuff. I actually just started a blog of my own after losing 130 pounds on paleo this past year. I knew you would have a good answer to this question regarding bulletproof coffee. Is it a meal replacement? I have been using ghee for mine and am considering switching to kerrygold butter but am just not sure if I am ready to take the leap to butter (it must be a mental thing for me). Thanks for all of the motivation! I don’t drink it as a meal replacement because it has almost no protein. I drink it in addition to a meal. Do you know how well this would work if I made it the night before and reheated it in the morning? 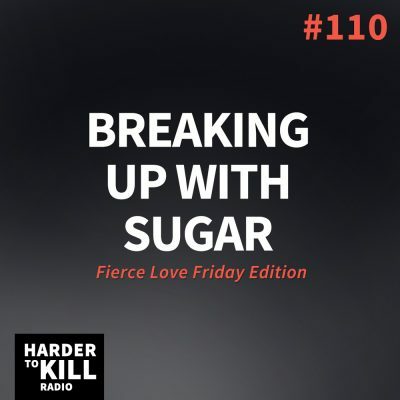 I like the idea of eliminating the sugar-filled coffee I’ve been drinking, but my boyfriend works nights so I try not to make too much noise in the morning when I’m leaving for work. Will you be reheating it or drinking it cold? I was planning on reheating it on my way out the door. Love your website and recipes so much! Just wondering- do u have Bps every day? And do u snack or prefer sticking to main meals? I have butter coffee WITH breakfast because on its own, butter coffee is very low in protein. I stick to three main meals. I don’t really snack unless I’ve screwed up at meal time and not eaten enough. Thank you for reality-checking the claims and offering alternatives affordable by ordinary pple. Hi, I usually drink butter coffee in the morning. Is it ok to drink in the evening around 6 PM or so for snacks? Nooooooo. Coffee at 6pm would interfere with sleep! I’ll be honest, this sounds absolutely disgusting – but I don’t add anything to my coffee in the morning as I prefer it just black. Is this for people who don’t like to drink their coffee black? 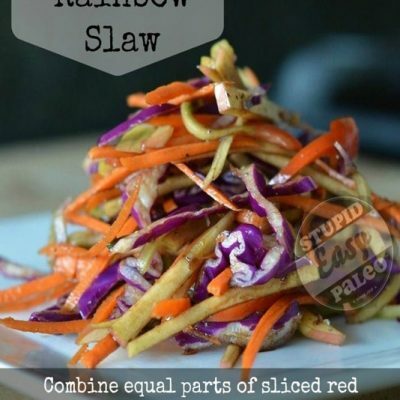 I’ve just bought Performance Paleo and saw a variation of this recipe in there. I have a question about collagen use, or more specifically, what it is in terms of food use. Is it just the collagen power we can buy from supplements shops etc? It isn’t something I’ve ever come across in cooking myself although I know what it is..
At the minute I just make a standard coconut oil and butter coffee which is grand but I’m interested in embellishments such as the collagen..
Great book by the way. It’s definitely going to help me get some structure in to my meals for improving my training..
Hey Kris! Thanks for grabbing a copy of the book! I have made my Bulletproof drink with my home-made broth(beef or chicken) using Ghee and Coconut oil/or MCT oil. I get my broth to come to a boil on the stove and then transfer it to a container that has been warmed. I then use my hand-held blender stick and wait for the froth. I think it taste delicious! Hello! I know this post is years old, but the recipe doesn’t seem to be showing up anymore? It goes directly from “here’s my recipe:” to the pinnable graphic.